The Ohio AAA Blue Jackets are pleased to announce the Head Coaches for the 2019-20 season. Tryouts for 2009 thru 2004 are scheduled for April 11-14. 18U and 16U Tryouts are scheduled for May 17-19. COLUMBUS, OHIO –The Ohio AAA Blue Jackets have named former NCAA Division 1 national champion and professional hockey player Ben Eaves as the organization’s assistant hockey director and head coach of the U18 team. He will replace Ed Gingher, who will continue to serve as the organizations’ president and head coach of the U15 AAA Blue Jackets team. Eaves will join the organization on April 1. Eaves, 36, joins the Ohio AAA Blue Jackets after spending the past two seasons as the player development and performance coach for the Miami University ice hockey program. Prior to arriving in Oxford, he coached at Minnesota’s St. Olaf College and was director of hockey and U16 coach one season at Culver (Indiana) Academies. “After an extensive search, we are thrilled to be adding Ben to our program as a coach and assistant hockey director. His passion and energy for teaching and player development is evident as soon as you talk hockey with him. Ben comes to us as highly regarded person and coach in the hockey world. He is a great fit for where we are currently and where we hope to be moving forward. He will make our program better”, added Ed Gingher. A native of Minneapolis, Minnesota, Eaves played four seasons at Boston College from 2000-04 and served as team captain during his junior and senior seasons. He registered 53 goals and 116 assists for 169 points in 126 career games, won a national championship as a freshman in 2001 and earned All-American honors in 2001-02 and 2002-03. He was named to the school’s All-Decade Team in 2010. A fourth-round pick of the Pittsburgh Penguins in the 2001 NHL Draft, Eaves played professionally in the American Hockey League and ECHL before moving on to Liiga, Finland’s top professional league, from 2007-13. He played two seasons with Espoo Blues from 2007-09 before spending a year as an assistant coach with the AHL’s Norfolk Admirals. He resumed his playing career in Finland the following year and spent the 2010-13 seasons with Jokerit, whose president and general manager at the time was current Columbus Blue Jackets General Manager Jarmo Kekalainen. “Ben Eaves was one of the brightest and hardest working players I have ever been around and his experience as a player and coach, along with his expertise in the areas of player development and performance, will be a great asset to the young players in the AAA Blue Jackets program,” said Kekalainen. Eaves comes from a very respected hockey family. His brother, Patrick, played at Boston College, has appeared in over 600 NHL games and is currently a member of the Anaheim Ducks organization. His father, Mike, is a former NHL player and current head coach at St. Olaf College. He served as the head coach at the University of Wisconsin from 2002-16 and led the Badgers to seven NCAA tournament appearances and the 2006 national championship. In addition, his uncle, Murray, was recently inducted into the AHL Hall of Fame and his grandfather, Cecil, played at the University of Denver and was a longtime coach at the University of Windsor. 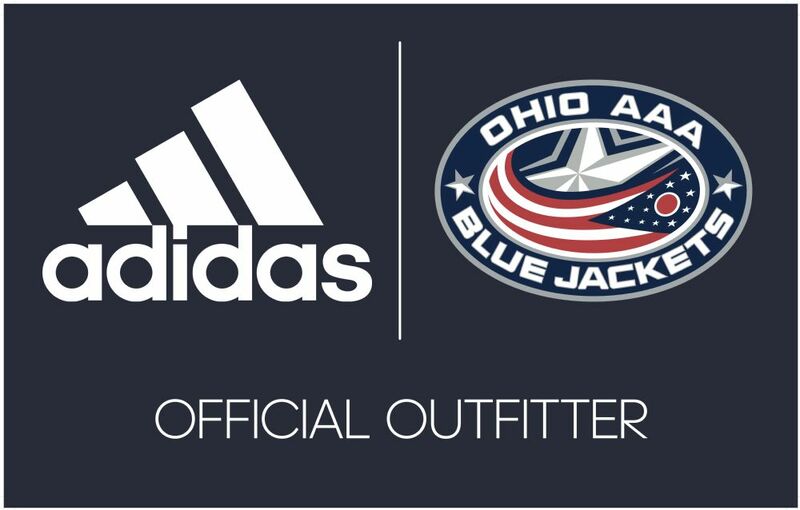 The Ohio AAA Blue Jackets are pleased to announce they have partnered with adidas Hockey to become the Official Outfitter of the Ohio AAA Blue Jackets. The multiyear deal includes all game jerseys, game socks, player and coach outerwear along with a full line of spirit wear for parents and families. Sizing night is scheduled for May 23rd. More information will be sent soon. The Ohio AAA Blue Jackets are pleased to announce the hiring of John A. Hykes as Fundraising Director. In this role, John will be responsible for managing the fundraising activities necessary for the Ohio AAA Blue Jackets to continue to be a leading organization within USA Hockey while helping lower costs to play hockey within the program. “Rising costs is always a concern and hiring John will help create an avenue to raise money for the program. It’s another exciting time for the Ohio AAA Blue Jackets. Our short-term goal is to reduce costs for our families. Our long-term goal is to also raise money for our endowment fund. Over time, we want the Ohio AAA Blue Jackets to become fully endowed. This is no small task. We have lofty goals and we feel this is the perfect starting point.” said Ed Gingher, Ohio AAA Blue Jackets president. John brings more than 15 years of fundraising and relationship building experience to the organization. A Columbus native, John’s background includes serving in fundraising roles for The Salvation Army of Central Ohio and Make-A-Wish Ohio, Kentucky and Indiana. John honed his relationship management skills while working for the State of Ohio, building and strengthening relationships with financial services firms, banks, law enforcement agencies, legislators, and victim’s advocacy groups. “Having someone with John’s background and breadth of experience will help us raise additional funds to help our current and future AAA families. As a parent of a player in the program, I am excited and looking forward to working with John to bring his ideas to life. This is a great day for the program! The benefits will only add to the notion that Columbus is a Hockey Town,” said Mike Zazon, Ohio AAA Blue Jackets Fundraising Committee Chairperson. John Hykes will bring his years of fundraising and relationship management experience to the Ohio AAA Blue Jackets with the goal of lowering some of the financial burdens to play in one of the top youth hockey programs in the country. The Ohio AAA Blue Jackets are pleased to announce the Head Coaches for the 2018-19 season. Tryouts for 2008’s thru 15’s are scheduled for April 11-15. 18U & 16U Tryouts are scheduled for May 18-20. All tryouts will be at the OhioHealth Ice Haus. Beginning this month, Orthopedic ONE’s team of sports medicine physicians, surgeons, therapists and athletic trainers will be named the official sports medicine provider to the Ohio AAA Blue Jackets, a member of the Tier 1 Elite Hockey League. 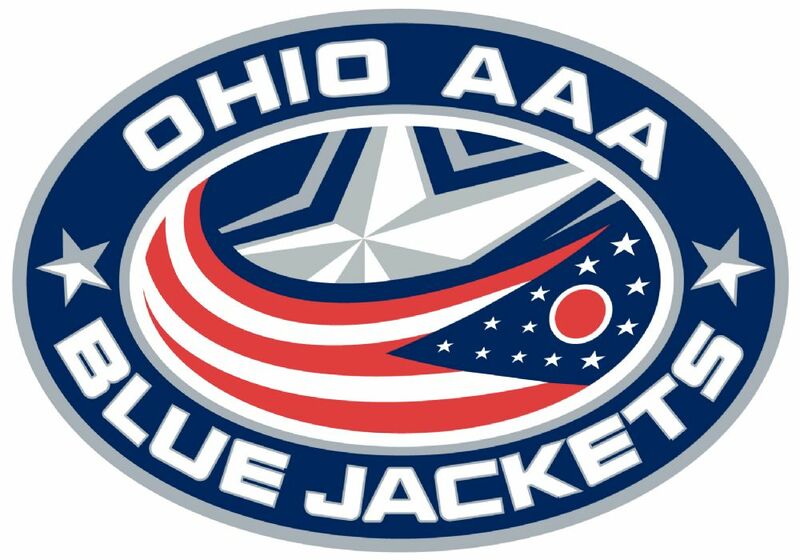 Ohio AAA Blue Jackets started in 2004 with just a U18 team. Since then the club has seen rapid growth and now has 9 teams playing at the Tier 1 AAA level, which is the highest competitive level of youth hockey within USA Hockey. This elite group of athletes has seen many successes on the ice, including numerous players receiving NCAA Hockey scholarships, players drafted and signed into the NHL as well as representation on the Team USA World Jr Championship team and the Team USA World Championship Men’s team. “As our program has grown, the need to add additional services for our players and families has grown as well. Partnering with Orthopedic One will allow us to provide comprehensive sports medicine services to our players. It will be a great benefit and resource to our families. 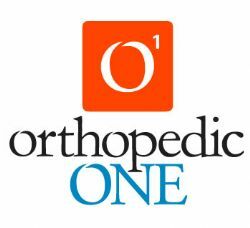 We are excited to partner with the experienced staff at Orthopedic One,” said Ed Gingher, Program Coordinator and U18 Head Coach. As part of an exclusive partnership agreement, Orthopedic ONE will offer onsite, game and tournament coverage, injury prevention and related health resources to the AAA Blue Jackets. “Youth hockey continues to make a name for itself in central Ohio, local programs are growing and this club is producing great players,” said Larry Watson, MD, a Sports Medicine physician with Orthopedic ONE, and team orthopedic surgeon for the NHL Columbus Blue Jackets. “We are committed to helping our partners create an environment in which their student athletes can safely achieve their athletic goals while learning how to prevent and minimize sports related injuries. We are excited about our opportunity to be a part of the AAA Blue Jackets program and look forward to working with the coaches, student athletes and families,” added Geoff Omiatek, Director of Therapy Service at Orthopedic ONE. This announcement furthers the practice’s list of athletic affiliations and partnerships within the region, which also includes: Columbus Crew SC, Columbus Blue Jackets, Classics Eagles, Resolute Athletic Complex, Columbus Premier League, Ohio RTC (Regional Training Center), Sports Ohio, Mannino’s Grand Slam USA, FC42, Ohio Premier, Team 614 Cycling, and more. Orthopedic ONE, Ohio’s largest, physician-owned orthopedic practice, offers a world-class roster of sports medicine experts with decades of experience treating professional, collegiate, high school, club and recreational athletes of all ages. Our Physicians, Physical Therapists and Certified Athletic Trainers work together to achieve a unified a goal - returning athletes to pre-injury condition. With locations throughout central Ohio and nearly 60 orthopedic physicians, Orthopedic ONE represents a range of specialties from total joint replacement to hand, foot and spine surgery, to physical medicine and rehabilitation. To learn more or find a location near you, visit OrthopedicONE.com. 9/20/14 - Since moving to Columbus nine years ago, Ed Gingher has told anybody who would listen — even those with an eyebrow raised — that central Ohio is a burgeoning hotbed of hockey talent. The pool of elite players has been growing for almost two decades, in fact, triggered by the proliferation of suburban hockey rinks in the area and the arrival in 2000 of the Blue Jackets as an NHL expansion team. The math is simple: interest plus opportunity equals participation. Greater participation — roughly 5,000 central Ohio kids play amateur hockey, vs. about 150 in the early 1990s — means better competition. Since 2006, the former general manager of the minor-league Dayton Bombers has run the program that oversees the best talent in central Ohio. Gingher is program coordinator of the Ohio AAA Blue Jackets, founded eight years ago (with funding from the NHL team) to help elite players pursue their dream of playing big-time hockey. Defenseman Connor Murphy, 21, of Dublin is expected to be a regular for the Arizona Coyotes this season. Two other central Ohio prospects — Trent Vogelhuber, 26, of Dublin (Blue Jackets) and Cole Cassels, 19, of Lewis Center (Vancouver Canucks) — are in NHL training camps. Another, 21-year-old, Sean Kuraly of Dublin, would be in camp with the San Jose Sharks if he weren’t enrolled for his junior year at Miami University. Meanwhile, Jack Roslovic, 17, of Bexley has begun his second year with the U.S. national team development program, an elite academy in Ann Arbor, Mich., that has produced some of the best U.S.-born NHL players of the last generation. Roslovic is expected to be drafted by an NHL club next summer. Players born and trained in Columbus have received college scholarships, been selected in the Ontario Hockey League draft — a part of the Canadian major-junior program — and signed professional contracts overseas. “There are markets in our country where hockey is historically strong,” said Jim Johannson, executive director of USA Hockey. “But the real story of our growth in recent years is in the newly emerging areas in California, Colorado, Texas and, yes, Ohio. Vogelhuber is the pioneer of the group, the first player from central Ohio to be taken in the NHL draft. The Blue Jackets selected him with the final pick — No. 211 overall — of the 2007 draft. Murphy and Kuraly, who grew up as best friends, were part of the U.S. team that won the 2013 IIHF World Junior Championship in Ufa, Russia. Roslovic, who last summer began a two-year commitment with USA Hockey, is living, training and attending his final two years of high school in Ann Arbor. The development program — which has produced such NHL stars as Chicago’s Patrick Kane, Toronto’s Phil Kessel, Anaheim’s Ryan Kesler and Blue Jackets defenseman Jack Johnson — selects only the top 20 or so players nationwide each year. Roslovic is the first central Ohioan to be invited. In February, the Ohio AAA Blue Jackets won the prestigious Quebec International PeeWee Tournament for 12- and 13-year-olds. The tournament, the largest of its kind in the world, is the hockey equivalent of the Little League World Series. During a one-hour conversation recently, tears welled twice in Paul Donskov’s eyes. For more than 25 years, the Westerville resident and his family have run a highly regarded hockey academy, Donskov Hockey Development. The first tears reflected sadness, at the thought of all the players who, until a few years ago, had to join travel teams in other cities or move out of Columbus to further their hockey careers. Some gave up the dream altogether. Among those born too soon was Patrick Schafer, whose parents began driving him from Hilliard to Cleveland three days a week in 1999 — he was 12 years old — so he could face better competition. At 15, Schafer lived with a host family in Cleveland so he could play for the Cleveland Barons of the Midwest Elite Hockey League. The Ohio AAA Blue Jackets were still four years away. Schafer was the first central Ohio-born player to be recruited by Ohio State, and he’s still being paid to play hockey for the Mississippi RiverKings of the Southern Professional Hockey League. Donskov’s second wave of emotion was on the other end of the spectrum — pure joy. The best players in the area, many of whom have been taught at his academy, now have a much more advanced, competitive environment to help them succeed. Eighteen have committed to or accepted scholarships from Division I colleges, and scores of others have moved on to junior programs in Canada or the United States, or are playing at small colleges. Vogelhuber would have moved to Detroit or Cleveland had the Ohio AAA Blue Jackets not formed. Just a generation ago, members of local elite travel teams in the area faced daunting hurdles as the programs struggled for legitimacy. 4 a.m. in order for us to be in Detroit around 7:30 or 8 a.m.,” said Gord Murphy, Connor’s dad, a former NHL defenseman and a current assistant coach with the Philadelphia Flyers. Central Ohio youths who wanted better competition used to find host families in Cleveland, Detroit or Chicago. Now, the opposite holds true. Jerry Rosburg, an assistant coach for the NFL’s Baltimore Ravens, knew that his son Jerad would need to leave the Baltimore and Washington area to find better competition. Two years ago, the Rosburgs picked Columbus and the Ohio AAA Blue Jackets, putting Jerad up with a host family for two years. Jerad plans to play one more season for Sioux City in the United States Hockey League — the U.S. equivalent of Canadian major junior — and then attend Michigan State on a scholarship. This year, the Ohio AAA Blue Jackets will have three players from Cleveland and one each from Detroit; Washington — and Fairbanks, Alaska. Yes, 16-year-old Cole Michealis has traveled from Alaska to play in Columbus. The growth in elite-level talent in central Ohio has brought other people to town, too: college recruiters, NHL agents looking for future clients, and even NHL scouts preparing for future drafts. NHL agents have “eyes” in Columbus, just as they have had for many years in Minnesota, Michigan, Boston and upstate New York. When the “eyes” see a young player who looks special, a phone call is made. Most agents say they won’t talk to a player’s family until the player is at least 15 years old. But of the five agents contacted by The Dispatch, four already had heard the names of Anthony Vidrick, who is 12, and his brother Andrew, who is 11. Both starred on the PeeWee team that won in Quebec. A decade ago, the Vidricks likely would have been making plans to leave Columbus — Detroit? Cleveland? — so their sons could continue to develop. “These kids in Columbus now have grown up in a time where they go to Nationwide Arena and touch the dream,” said Anton Thun, an agent who represents NHL players Steve Mason, Dave Bolland, Shawn Thornton and others. “The infrastructure to create and develop players didn’t exist until the NHL arrived.